In the United Kingdom on April 6 each year is the start of the new fiscal year. 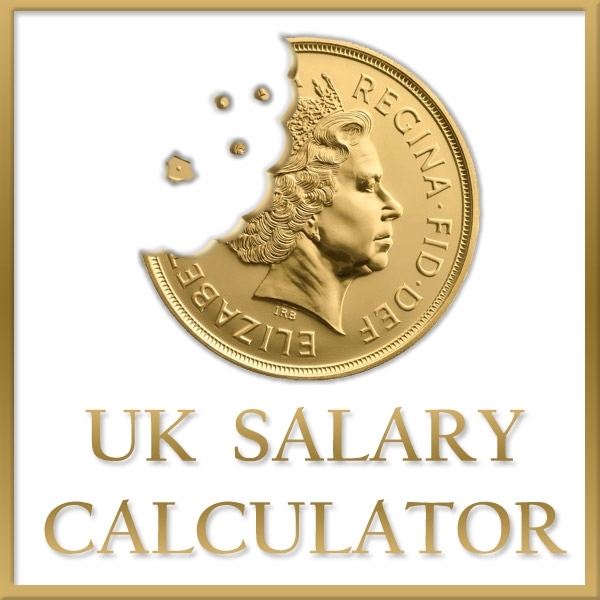 Therefore, for employees in the UK, I have prepared UK Salary Calculator spreadsheet. Based on the annual gross salary and works out each of its components: Personal Allowance, Taxable Income, Income Tax, National Insurance Contributions and Net Salary called Take Home Pay. In addition, I have calculated the equivalent information for different periods such as year, month, week and day. In the last option, we can define the number of hours in a day. Apart from the gross amount, and the amount of working daily hours, the spreadsheet includes the option of choosing the Tax Years from 2009-10 to 2017-18. 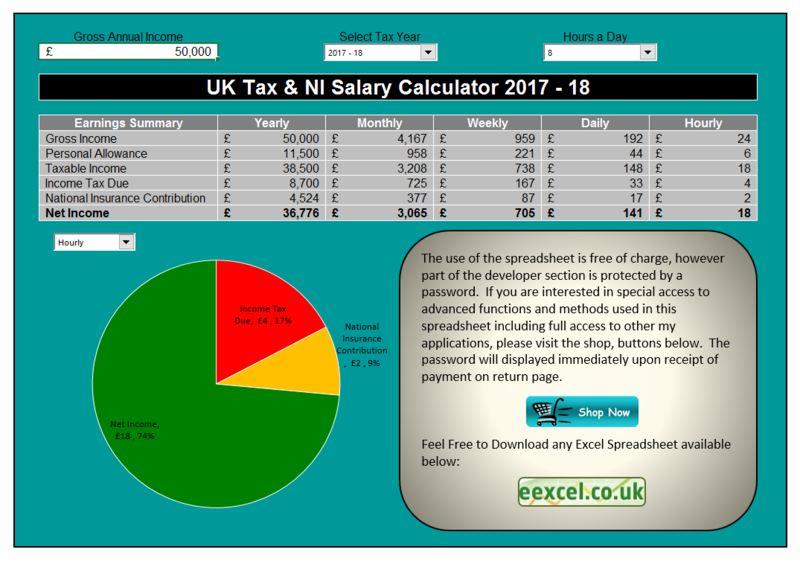 UK Salary calculator has been prepared for taxpayers born after 6th April 1948, who are not entitled to any special incentives, tax exemptions or special tax-free amount. This calculator calculates the mean values due to the different periods, but the actual net pay wage that the taxpayer will receive may differ from the calculations. This may be due, inter alia, to the fact that for various reasons the taxpayer receives an irregular salary in a tax year or receives remuneration from more than one source. Please feel free to download UK Salary Calculator template spreadsheet. It does not require any additional software or any registration. It is also free of adverts and VBA code. Just click on the button below to download the file. If you are interested in special access to advanced functions and methods used in this spreadsheet, including full access to other of my spreadsheets, please visit the shop, button below.